So this past week I had a little stint in the hospital. For a week I was just not feeling right. Had some pain in my left shoulder and back area and then some chest pains. Went to ER and they ended up keeping me for a couple of days. Thank God my heart, after testing, showed some minimal plaque in a couple of arteries. But what was told to me is that my heart could begin to be damaged due to the amount of stress I put it under. My heart rate fluctuates too much. Need to keep it steady I was told. Too much “fight or flight response” is not healthy. That was definitely eye opening. I am definitely a Type A personality. Must be organized, keep things moving, a bit impatient and wanting it all to be done right now and on schedule. I worry about things that have not happened yet and get anxious about things that are in the works. I cannot let things go. So some may say I have anxiety and some say PTSD after my son’s accident. These are all labels that have been tossed into the conversation on what they think is going on in my life. For example, my son did a good deed last week and drove his friend to Tennessee so his friend could attend a funeral. I woke up in the middle of the night when they were supposed to leave, with my heart racing and my hands clammy. Couldn’t catch my breath. Was this a heart attack or a panic attack? Fact..Googling this at 3 am is not a good idea. Trust me. Another example is my daughter works late hours. I wake up hearing a siren and I immediately call her to find out where she is. I can make myself crazy. So here I am sitting in the hospital room alone thinking about life before I get the test results. I go over in my head who will I ask to take care of my son when I am gone. Will I be there for my daughter’s wedding or job promotion? Should I call old lovers and tell them how I really feel or felt? Do I finish the spreadsheet that is on my desk for a big meeting so at least I leave them with everything in order? As we know in anything the waiting is the worst part. A few tears drop down my face and I am trying to get myself together and in walks a patient care tech named Maria. She is a small Hispanic woman with a round face and twinkling eyes. She has a sparkly name tag on her uniform. She smiles when she sees my gold sparkly slippers. She looks down and says to me I remember when you were here and your daughter bought you those slippers a couple of years ago. In my head I am thinking wow that is strange that she remembers that. Because it is true. My daughter bought me those slippers a couple of years ago while I was in the same hospital. She then asks what the tears are for. I tell her I hate waiting and I hate anxiety and stress and I hate that I cannot just be a calm person and let things go. Give it to God they all say. She shakes her head and smirks. Oh honey that takes a lot of time and a lot of practice. It just doesn’t happen all at once. Give yourself a break first. I explain what is going on and I then tell her about my son’s accident for some odd reason. She says to me I think we were meant to be here at this time together. I give her an I really don’t understand look. She tells me the story about her son and how when he was 16 he had a terrible kidney disease that took a toll on him and how he lost oxygen and ended up with some brain issues also. The doctor gave him only 2 years to live. Her family was devastated and changed in an instant. Just like mine. So at first she reacted. Just reacted. They took vacations and went to concerts. Anything her son had on his bucket list they did. They spent money that they had worked many years to save only to throw it away on whatever luxuries they wanted to give their son before he left this world. She is also a religious person so she went to church every day thinking she could make a deal with God. Please God give me more time with him. Let me have him till he is at least 40. I will do this and that. Anything. Then one day when she was in church she told me she heard a voice say to her, Maria your son is but a gift I have given you for a while. He is not yours to keep forever. I will want him back when I feel it is time because he is also a gift to me. But for now enjoy him and love him. It is not you who can decide how long he gets to stay. She went straight home and told her husband what she had heard and he told her he had been trying to tell her that for years. But she never listened. So she decided she would give it to God. All the anxiety and worry. And it would take her time to do this because she was so much like me. Just couldn’t do it. Wanted to control the situation. After all she is the mom. And the mom should be able to do anything! Her son is now 40 and she still prays for just one more year. But she says she knows in her heart the end is coming. He has not been well for some time now. She says her son does remind her of my son. Good heart and wanting to live his life on his terms and just be happy. She used to call him a million times a day, she now just texts him 3 times a day to make sure he has eaten. It takes a lot of practice to get that far she told me. She also tries to spend more time with her other son because she feels he had to grow up fast and just go along for the ride. I say that is how I feel about my daughter. She told me do not feel guilty for that because that is what makes your daughter a better person. She is strong and independent and a good girl. She told me that she believes my son and her son are angels just put here for a little while. God saved them both at one time and now we need to leave them be and enjoy their lives. We need to trust that whatever happens is meant to happen. We are not in control. We cannot save them. She sat at the edge of the bed holding my hand and just smiling. I felt like she was sent down to me from heaven and it was no coincidence that she had been on that shift. She told me to do breathing exercises when things get crazy and to take a walk and just be. Just walk and enjoy the walk. I told her I guess all the money I spent on therapy I could have just come to meet her. She said it was not time yet. IT wasn’t right. Now it is. So I leave the hospital knowing that I need to change and quickly. I need to or else my heart will be more damaged and it will not get better. I need to learn to say no to the million things I am asked to help with. I need to realize that at work I am doing a good job and I need not stress about making it perfect. Good enough is good enough. I even called my boss and told him I was coming back as a mediocre employee. He smirked and said he knows that is not possible. It is not inside of me. I told him we will see. I need to let my kids be themselves, after all they are grown. I need not to worry each time they leave the house or go on vacation or make a job decision. They need to grow and accept the consequences and the victories themselves. I can be there to cheer them on or pick up the pieces but that is it. I need to learn that my family will take care of my son if anything was to happen to me and I need to learn that I have wonderful friends that would do the same. I need to learn that I cannot help everyone and every cause. No matter how hard I try. As my angel in the hospital said it is not selfish to help or worry about you yourself, it is but necessary. Donna is an administrative assistant at a local school district. Worked many years as a customer service manager and sales rep in the publishing distribution field. Non profit is her passion, but it doesn’t pay the bills, so Donna is an avid volunteer in her community. A mother of two adult children and a Schnoodle named Vinnie all who still reside in the nest. A divorced woman over 50 who has been on at least 50 first dates in the last few years but still has not given up hope. Donna grew up in Chicago and had a great childhood in her neighborhood. She currently lives in the outlying burbs. She swears she has the best Italian/Polish family and has a fabulous support system of childhood friends. Her “Girls Club” keeps her sane and tries to help her not sweat the small stuff. Looking forward to becoming Golden Girls when the time is right. Her life has been a roller coaster of love and loss but she always keeps that ticket handy for the next ride. A big shout out to her 8th grade English teacher Mr. Purton who always said she had it in her. Donna tries to leave a little sparkle wherever she goes. Donna, you are a sparkle in many lives. 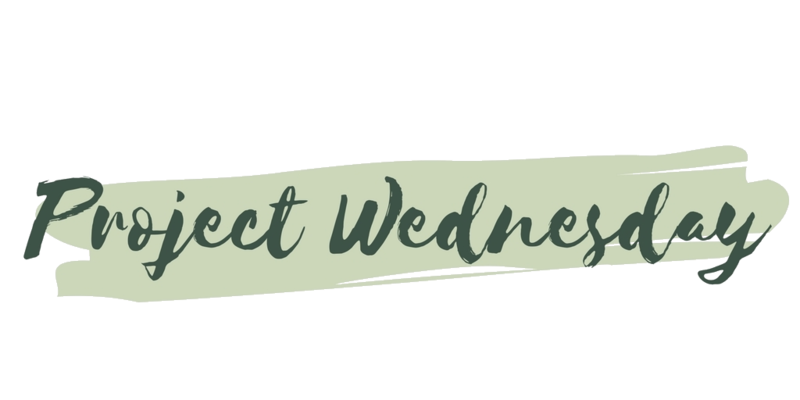 I really enjoy reading your projectwednesdays sharing. Very courageous of you to share your thoughts and experiences. Take care of yourself and know that others benefit from your loving words. I’m not even sure when you posted this. I saved it and looked through them this morning. Incredible post. I absolutely agree that there are angels that walk among us. I know my mom was one. Her presence alone eased pain and worry for many people. I’m glad you had this moment and met Maria.